If all your knowledge of New Jersey comes from watching reality TV, keep in mind that while the actual Jersey Shore inspired the show, the show did not inspire New Jersey. Long before there was reality television, New Jersey was the tough-talking, beach-going, party-loving state that you see on the screen, and proud of it. However, behind that rough exterior, there is a kinder gentler side to New Jersey, and when you’re in the heart of Jersey, you will find the heart of Jersey. 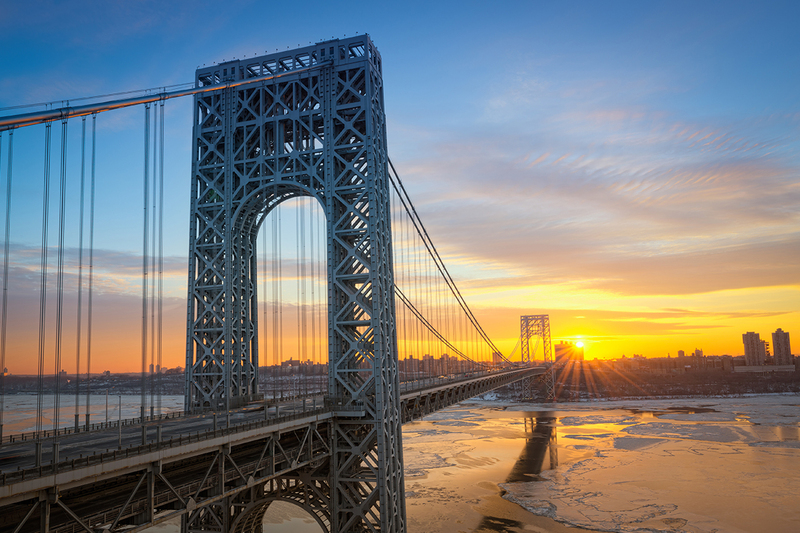 Once considered merely a stopover point between Pennsylvania and New York, New Jersey has certainly earned its stripes in the past few years, partly in thanks to reality TV and teen culture. In fact, as of today Jersey is the most densely populated state of any in the US, and with good reason. New Jersey’s long, blue coastline has over 50 resort towns including Atlantic City, Cape May, and Asbury Park. New Jersey has served as the muse for Jon Bon Jovi, Bruce Springsteen, and Frank Sinatra, all proud Jerseyans, who make no bones about where they honed their chops. Want to take a gamble on Jersey? Jersey’s gambling restrictions are the least restrictive in the United States, and as of 2013, you can even gamble online there legally. Since gambling was made legal in 1976, Atlantic City has become the biggest casino gambling destination in the country aside from Las Vegas. It has seven boardwalk casinos with everything from penny slots to high-stakes poker, so go for fun or go for broke, there’s something for everyone in Atlantic City. When you’re packing for your trip to New Jersey, be sure to bring your appetite. Food in New Jersey is go big or go home. Trends come and trends go, but if there’s one thing that’s never gone out of style, it’s a Nathan’s hot dog. If you’ve never eaten a hot dog in New Jersey, you haven’t eaten a hot dog. If you really want to get a taste of Jersey, try the Jersey dog; with seven varieties, there’s one for every day of the week. The “rippers” are deep fried until they split down the middle, but beware, if you try them, you may just split down the middle yourself. Lastly, no tale of New Jersey would be complete without mentioning amusement parks. No image of the New Jersey coastline would be complete without a ferris wheel or roller coaster silhouetted against the sky. If you’re looking for some authentic amusement Jersey style, look no further than the Steel Pier on Atlantic Beach. Founded in 1898, the Steel Pier is the oldest in New Jersey, and getting better with age. Here you can munch on traditional boardwalk fare, ride the carousel, try your skill at the bumper cars, and Slingshot your way across the Jersey Sky. More thrill-seeking amusement park visitors may prefer the variety of Six Flags Great Adventure, one of New Jersey’s best-known attractions, for a more complete amusement park experience. 5201 Route 38 West, Pennsauken, NJ 08109. Adrenalin-pumping amusement parks may be fun for all, but overexposure to the sun and wind can be trying for your skin. So when you’re done queuing up for the Steel Pier rides and you’ve bumped your way through a dozen bumper cars, shake off the effects of sweat, sun, and wind with Lavelier’s luxury skincare and enjoy an expert facial or two at our store.